Just like a proud parent displaying an honor roll bumper sticker, we like to boast about our laser. 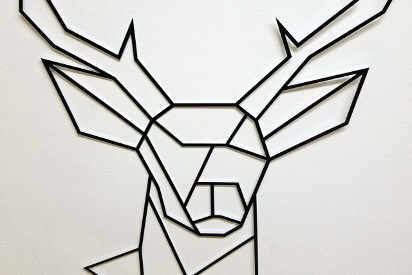 On this page we'll be posting pictures with descriptions of different items that have been laser cut here at ASCO. 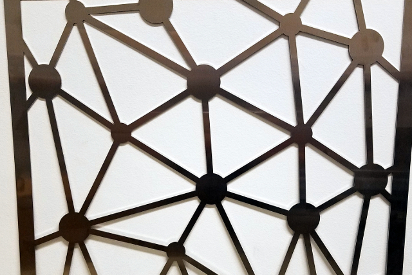 If you would like physical samples of laser cut metal from ASCO, please feel free to contact us: 800 899 ASCO or laser@aluminumsupply.com. By letting us know your reason of interest in ASCO's Laser Cut Fabrication we can custom tailor a sample package for you. 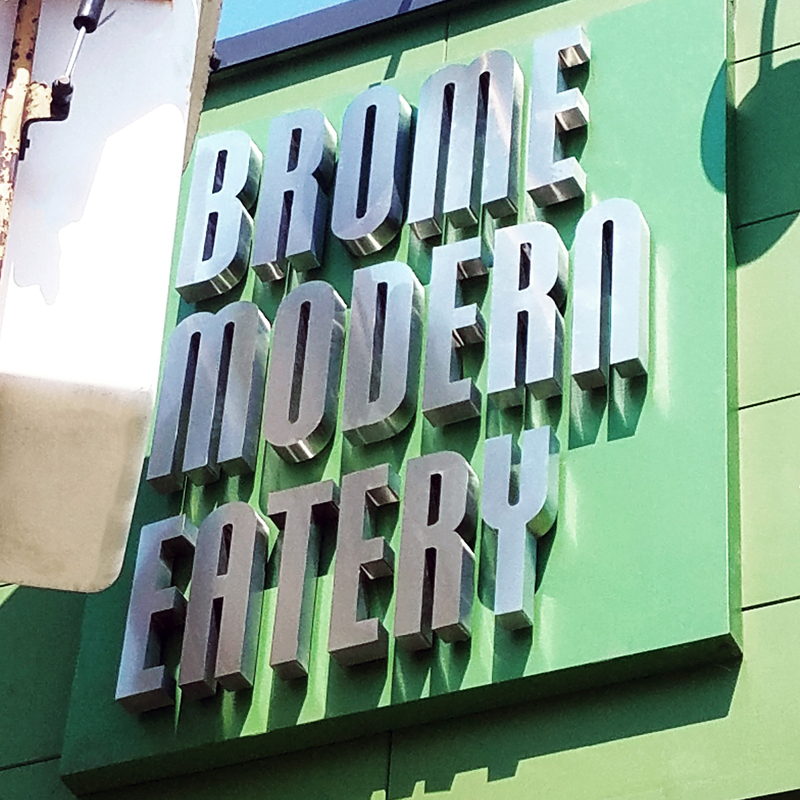 This method of 3D signage takes thin gauge material, in this instance 24GA Stainless Steel 304 #4 Brushed. The face of the letters are cut out and strips are bent to add the depth. This is a 2' x 2' decorative panel cut from .125 Mill Finish Aluminum. 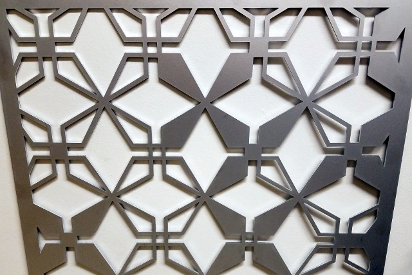 This decorative panel is cut from 18GA 304 #4 Brushed Stainless Steel. This panel showcases the ability to cut straight and radial shapes. The season is upon us. Whether you partake in hunting or not, this cut out from .032 Dark Bronze Anodized Aluminum is a unique piece. Direct to the desk of our laser operator. Aluminum Supply Co. was founded in 1948 by the Marshall brothers. They created a one stop shop for metal and fasteners, something Detroit never had access to before. Over the years ASCO has built a reputation for creating quality architectural metal. ASCO continues to prevail in the city of its origin. In addition to our Custom Fabrication we offer Sheet Metal and Extrusions that can help to complete your project. For more information about Aluminum Supply Co. please check out www.AluminumSupply.com.